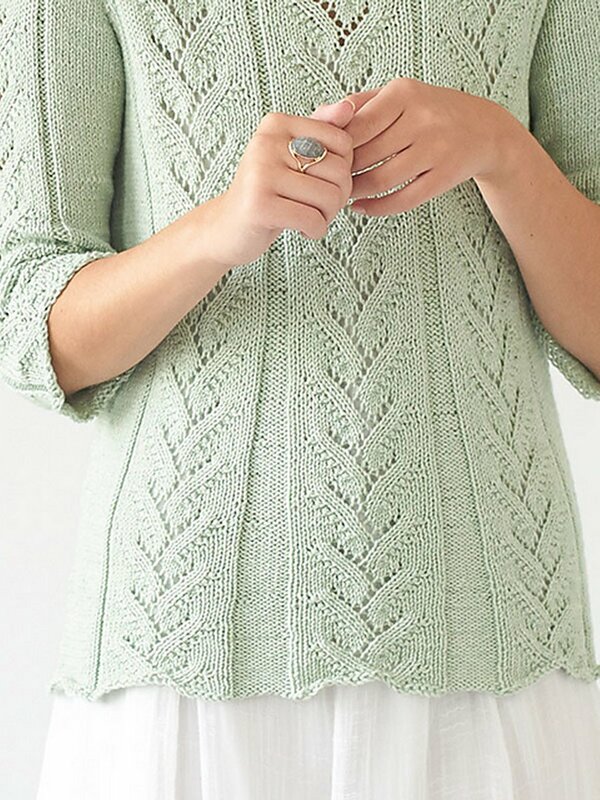 Lavandin is a feminine pullover with an A-line swing shape for a flattering fit. It features botanical-inspired lace panels. Note: This garment was designed with approximately 2 - 4" of ease. Please take this into consideration when selecting your size. Berroco Norah Gaughan Vol. 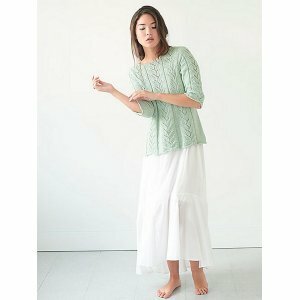 16 Patterns - Marbore - PDF DOWNLOAD and Shibui Knits SS17 Collection Patterns - Aalto - PDF DOWNLOAD are both similar patterns: 22 (5.5 sts. / inch) finished gauge, adult pullover garment, for women, and sport (24-26 sts/4 in) yarn gauge. Hopefully our suggested yarn options for Vera - PDF DOWNLOAD can help you come up with your next exciting new project idea!